busy. May was so busy with birthdays, school stuff, evaluations, work outs and weather. The calendar doesn’t look that busy, but we seemed to always have something happening. Here are some of the highlights in pictures: I’ll talk about them as the post goes, but here they are to start. 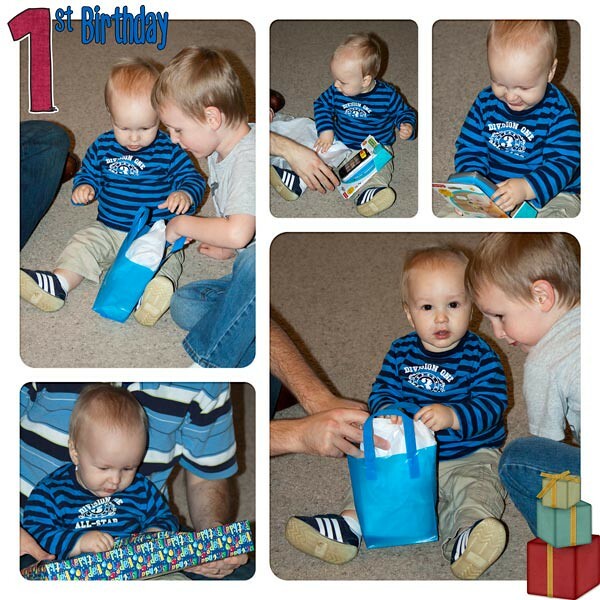 At the beginning of the month, we celebrated Matthew’s first birthday. I can’t believe he is a year old already. He’s grown so much and we are so blessed to have him in our family. He’s such a good little guy to have around in our house. As a matter of stats, Matthew is growing well. He’s in the 77% for his weight, 89% for his height and 76% for this head size. He’s quite the mover as well. He’s practically running around the house now chasing after Spencer. He definitely keep us on our toes. At Spencer’s school, they had a Mother’s Day “tea” (meaning punch and cookies). He escorted me to my chair and my place mat. Got me my drink and my cookies. Then all the other kids sang a song, and Spencer promptly ran away not waiting to be around for the loud music. Other than the running away and fit throwing, he did pretty well. 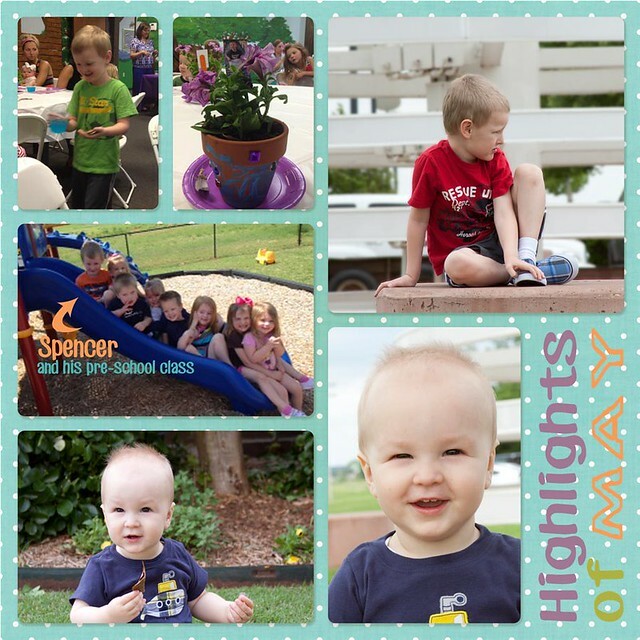 Spencer’s school ended on the 16th of May. It was very bittersweet. We loved his teachers so much, and they have been SO good for him. 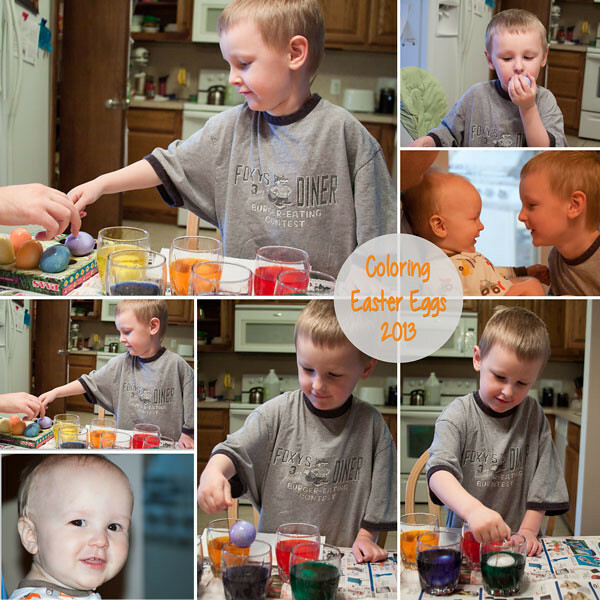 I’ve seen lots of growth and change in him from the beginning of the school year to the end. So, to help us maintain that change, we have started Occupational Therapy as well as speech and pragmatic skills therapy (in prep for social groups). He’s doing very well thus far, and as a result, Spencer was able to feel confident enough to learn to buckle his own seat belt! (HUGE at our house). We’ve also started the process of expanding our patio in the backyard. We have a lot of space that is unusable. It doesn’t get any sun and is usually pretty muddy. So, we’re going to expand our patio so we can use more of our backyard. It’ll be great if it every gets done now. The wet weather we’ve been having has prevented things from moving forward as quickly as we planned. On Memorial day, we enjoyed hanging out together as a family. We even made a trip out to Pop’s. It’s a soda shop that sells all kinds of bottled sodas. It has a restaurant in it (we’ve never gone for the food), and is definitely a cool thing to do in Oklahoma. Adam and I have been busy with our training and both are making good progress toward our goals. That’s been our month of May. 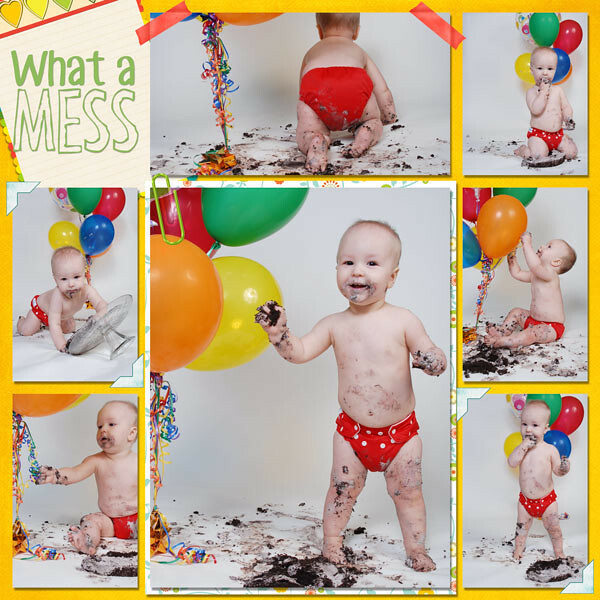 I know I already post pictures of Matthew getting crazy messy with his birthday cake, but with the help of my awesome friend, Shanna, we took some “studio” cake smashing pictures that are SOOOO cute. How could they not be? 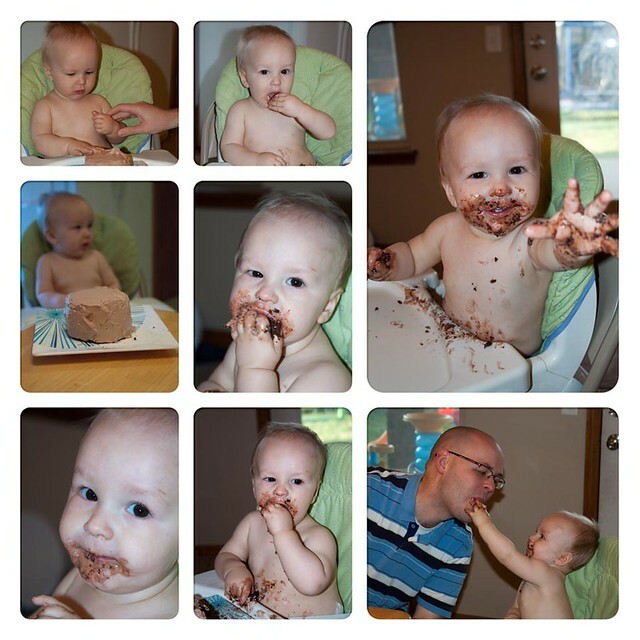 What’s not cute about 1) my son and 2) a kid eating messily. I did some scrapbook pages using the pictures too. The kits I used won’t be for sale until June 1, but I didn’t want to wait that long to post the wonderful pictures. If you are interested in digi scrapping, let me know I’ll tell you where to go get the kits. Aren’t they SO cute? I think the red cloth diaper just makes them so much more cute. Even if I don’t use the cloth diapers anymore, I keep them for just such occasions. Cloth diapers are SO much cuter in pictures than paper ones. Wow, it’s happened. My baby turned one. This year has been SO fast and so crazy, but wonderfully blessed since we have this little guy in our family. The best part of our evening though was probably the cake. 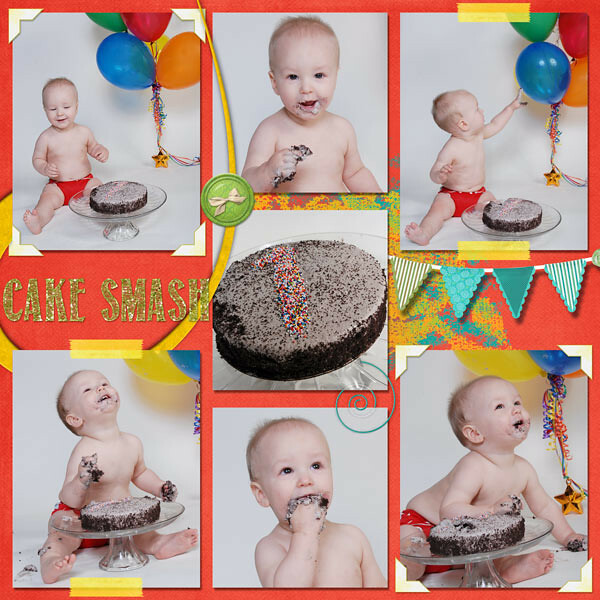 Matthew LOVED his cake. He probably ate about a 3rd of the cake. It is a mini cake, but it was layered. Who knows how he found room for all of it I’ll never know, but it was sure fun to watch. Did I mention Matthew loves to share and was rather insistent that Daddy try his cake? Such a fun day. Just as a side note for remembering, today (4/10/13) Matthew took his first two unsupported steps. He was hanging on to the coffee table when I came into the living room from the office. 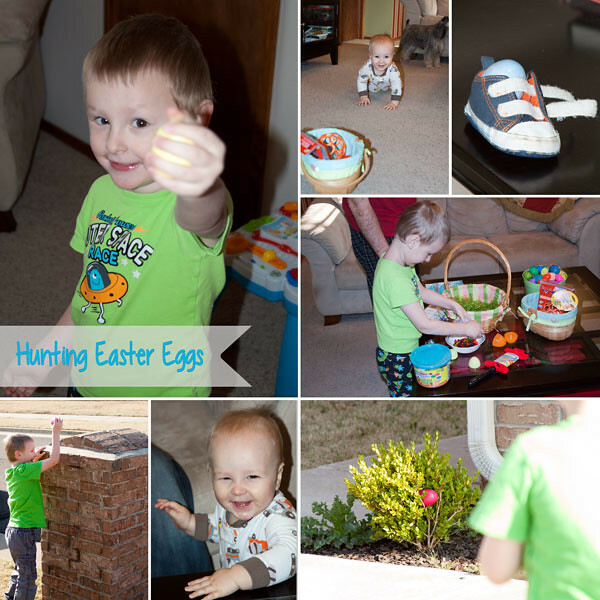 He looked at me and smiled that precious baby smile of his, I held out my hands to him, and he stepped away from the coffee table toward his momma. Spencer and I had a great time celebrating with him after that, but we couldn’t really get him to repeat his steps. He had turned it into a falling into momma’s arms game that was much more entertaining at that point than walking.